An action-packed weekend awaits race fans at Bahrain International Circuit (BIC) in Sakhir. Back-to-back days of non-stop thrills can be enjoyed at “The Home of Motorsport in the Middle East”, with the Ultimate Track Experience on Friday (Editor’s note: January 5) and then an Open Track Day on Saturday (Editor’s note: January 6). All the excitement will be held along BIC’s 2.55-kilometre Inner Track. In the Ultimate Track Experience from 8am to 4pm, a trio of fun activities can be had. On offer will be a pair of exhilarating drives in a Clio Cup sports car and a Radical SR1 prototype, and then a passenger ride in an ultra-quick Radical SR3. The Clio Cup drive is sure to give fans a look into the capabilities of one of the world’s most popular sports cars. This Renault-manufactured mean machine features a 1.6-litre Turbocharged engine that can generate up to 220bhp. The Clio Cup drive can be purchased at BD120 and the entire experience lasts roughly two-and-a-half hours. The Radical SR1 drive promises the ultimate adrenaline rush. The SR1 prototype features a 1,340cc engine which can generate 185bhp. It launches from zero to 100kph in 3.6 seconds. The SR1 experience could last up to around two-and-a-half hours at the cost of BD140. Completing the Clio Cup drive is required before taking part in the SR1 experience. 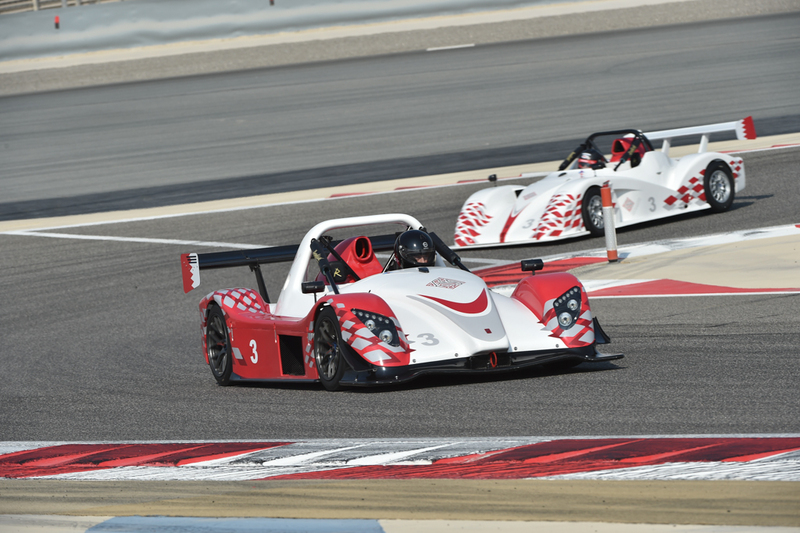 The Radical SR3 passenger ride will be conducted alongside one of BIC’s expert driving instructors. This passenger ride costs BD35 for a session lasting around 40 minutes. In the Open Track Day, to be held from 9am to 4pm, speed enthusiasts will be able to take their cars or motorbikes out for an experience like no other. Being one of the most popular and highly subscribed events at BIC, this weekend’s event is expected to attract motorsport lovers from all over Bahrain and even from Saudi Arabia, Kuwait, Oman and the UAE. The cost to take part is BD75 for the whole day and BD50 for a half day. There is also an option of BD25 per session. Also set to be on offer to the public on Saturday are a pair of Ultimate Track Experience passenger rides, including one in the Clip Cup and the other in the Radical SR3. Discounts are available for those who book their participation in advance, so register now or get more information at www.bahraingp.com or call the BIC Hotline on +973-17-450000. Also, find BIC on Facebook (facebook.com/OfficialBahrainInternationalCircuit), follow BIC on Twitter (@BAH_Int_Circuit) and Instagram (instagram.com/bah_int_circuit), and subscribe to BIC’s YouTube channel (youtube.com/Bah_Int_Circuit) for regular updates on all happenings at the world-class Sakhir circuit.